Real estate agents, REALTORS® and real estate professionals need simple, effective digital marketing solutions that generate leads. We have you covered: HomeActions will help you generate more business from your network of contacts. We’ll work with you to build your real estate email marketing database, we’ll design your custom branded email newsletter, we’ll write all your articles, we’ll automatically launch your email newsletter twice a month, we’ll provide reporting and metrics so you can see who is responding, we’ll give you hands-on customer support whenever you want to add your own articles, and we’ll deliver you warm leads. Your greatest asset in real estate is your database of contacts. Our expert representatives will gather all your email contacts into one database. We can help you export email contacts from your Gmail account, Outlook, MLS, Yahoo, Hotmail, AOL, CRM, iCloud, etc. Our next step is to clean up your contact list, eliminating duplicates and bad email addresses. You’ll have the opportunity to review and approve your newly organized list. 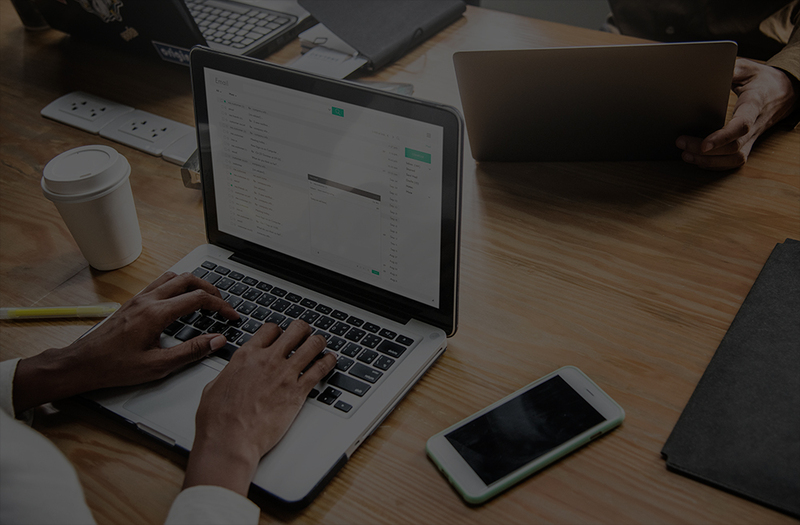 We then protect your contacts, ensuring each one is exclusively yours so no other HomeActions user can launch a competing newsletter to your contacts. You are now ready to start launching your custom real estate email newsletters twice a month to your exclusive database. 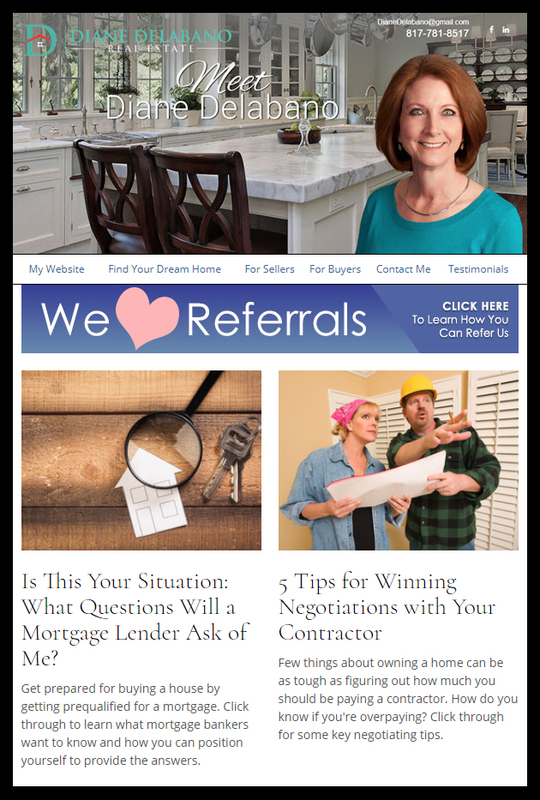 In addition to the fresh real estate articles our professional editorial staff writes for you every two weeks, we also integrate interactive content right into your email newsletter. Your real estate marketing newsletter will provide readers a variety of information on home ownership, finance, insurance, security, seasonal issues and many other engaging topics. 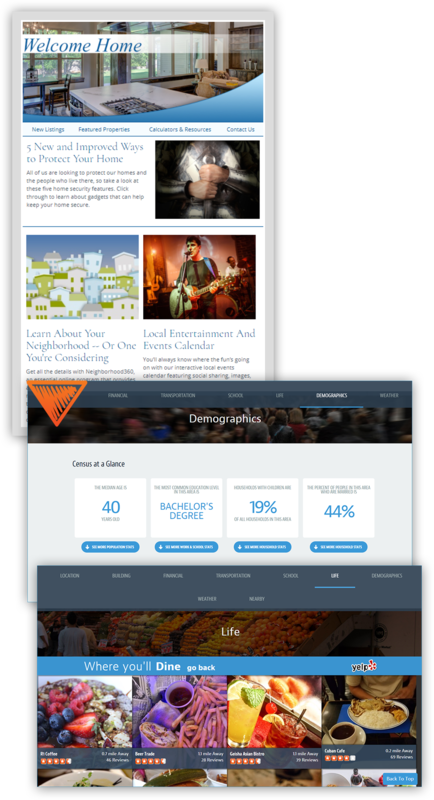 Plus, unique interactive articles will give your readers hyper-local data about their neighborhood or areas they may be researching. This content is equipped to deliver you detailed alerts every time a reader is curious about a home value or neighborhood. You’ll also have access to a stocked real estate content library with over 2,000 articles in dozens of categories that you can access at any time. All opportunities generated by HomeActions, LLC™ email newsletter content clicks, engagement alert activity, survey responses and interactive content can be easily located in one go-to hub. Plus, we email or text you every time new opportunities come in so you’re always empowered to reach out to potential clients. Don’t just take our word for it. Hear how our clients describe their experiences with the HomeActions digital marketing solution for real estate professionals. We think they put it better than we ever could. HomeActions provides REALTORS® and real estate professionals with access to print and digital marketing tools that will significantly increase their repeat and referral business, generating more listings, buyers and sales. Our system delivers current and compelling content of interest to all homeowners, not just those who may be actively buying or selling their homes. Our content-rich system portrays the real estate agent as a genuine expert and homeowner’s advocate, making them the logical go-to choice when it comes time to buy or sell.